This World Health Day, public health experts emphasize the need to make “Health Accessible to All” — ensuring that everyone, everywhere can access essential quality health service without hardship. 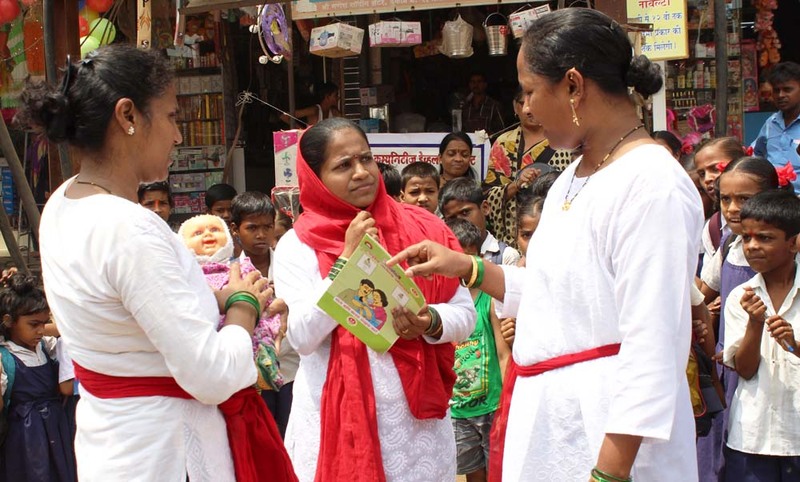 To celebrate World Health Day, CCDT’s mMitra program organized a street play on antenatal and postnatal care for pregnant women and lactating mothers living in marginalized slum communities from Dahisar to Nalasopara. mMitra is a mobile- health program (Mobile Health Messaging through Automated Voice Calls) to advance reduction in mortality and morbidity of mothers, neonates, infants, and children living in urban slums. Through the program, these women receive regular, timed and targeted information through automated voice calls, every week, at a time slot of their choice. The calls provide information specific to the week of pregnancy or age of the child on preventive care and simple interventions. The street play emphasized the importance of hospital deliveries and encouraged onlookers to promote early registration of pregnant women in hospitals (during the first trimester itself). Early registrations facilitate access to regular check-ups and antenatal care. India accounts for 15% of the global mortality rates (Lancet report) and therefore it is critical to encourage antenatal care that has been proven to effectively reduce maternal mortality. Through this play, the mMitra team successfully delivered information on pregnancy, hospital deliveries, vaccinations — and debunked several prevalent social myths related to pregnancy.They also highlighted the importance of family support in enhancing maternal health. The performers choose street play as their medium to deliver these messages, given that it can be publicly performed and has the potential to reach large numbers of people in one go. Audiences also respond well to story-telling and retain information and messages that have been shared through such interactive mediums. Ajay Kumar, a resident of Tandapada acknowledged the efforts of the team, and shared “I appreciated the information provided through this play and I’m sure it will lead to greater awareness among men and women alike… it is important that men take care of their wives during the critical time of pregnancy and lactation. Ms. Priyanka, an ICDS worker who attended the play threw light upon the fact that it takes the effort of an entire family to look after a pregnant woman in the house, and if such efforts were made, it could help the society completely eradicate the issue of malnutrition.